There is not one iota of doubt that we try to be environmentally friendly and look for several ways to make our surrounding green and clean, yet we do not achieve our “green” goals completely. The main reason is our lack of total commitment to keep mother earth smiling. You may have used recycled plastic or paper to fulfill your eco-friendly needs, but have you ever considered recycled or reclaimed wood for your kitchen floor? Reclaimed wood is retrieved from factories, old warehouses and buildings, refurnished and offered for variety of purposes, including renovation. This can be a great choice as it is environment friendly and stops getting forests destroyed. Cork is one of the best flooring options for your eco-friendly kitchen design ideas. They can be purchased in a variety of patterns and different colors. Along with its, eco-friendly benefits, it can also resist against mildews and moulds. You can also try recycled glass for floors, although the price may be a bit higher than other alternative eco friendly flooring options. Bamboo flooring is one of the commonest materials used to design a kitchen. It not only is durable, but also very urbane and easy to maintain and clean. What’s more, it satisfies your green kitchen design ideas. Always consider to have bamboo or recycled wood while constructing kitchen cabinets. Using eco-friendly coatings and paints for cabinets can make them look just like any other exotic wood cabinet. 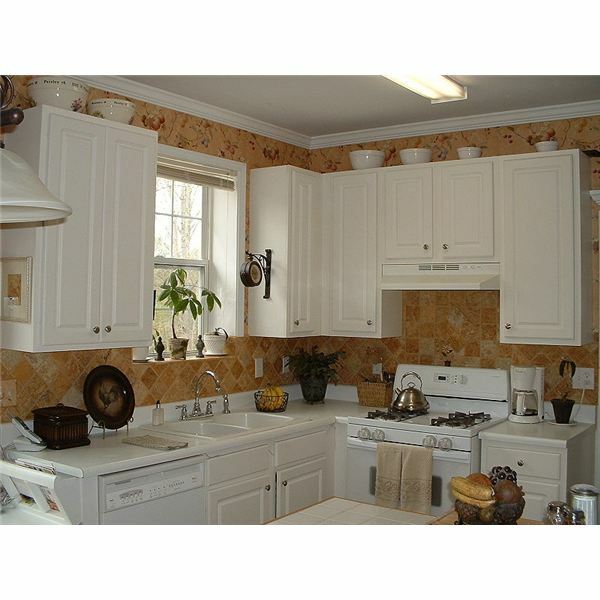 You can also look for used cabinets and refinish them using environmentally paints. There are many eco-friendly materials that can be used for your counters. Bamboo and recycled glass are the best alternatives. If you are creative enough, you can use recycled glass tiles in a number of ways to adorn your kitchen counter. You just need some imagination! While you have made up your mind to opt for green alternatives for your kitchen design ideas, it is also important to have your kitchen sparkling clean. For this, you should use chemical-free cleansers to clean your kitchen. One of the best choices is a plant-based cleanser that uses natural elements. You can also make your own natural cleansers using baking soda, lemon or vinegar.